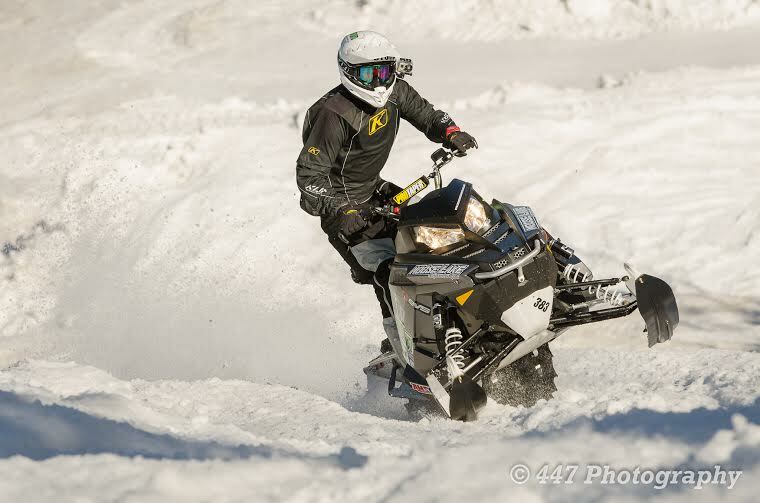 April 2015 - Midwest Sports Publishing Network, Inc.
Lake Nebagamon, WI (April 26, 2015) – Cottew Motorsports is pleased to announce we have added Mitchell Thelen as a full-time member of our ISOC national snocross team, where he will compete in the Sport class. Thelen, who joined the team as a support rider in mid-January last season, became a dominate force in the Amateur class finishing on the podium 11 times, including five wins. Thelen, of Paynesville, Minnesota, started the 2014-15 season racing regional and nearby national events. After winning a class final in January at Canterbury Park, the team agreed to transport his sled to the remaining national events where he went on to have great success. (April 23, 2015) Well the time has finally come and gone and despite everyone’s doubts, we were able to pull off a late April big season send-off race at Lutsen Mountains April 18-19. 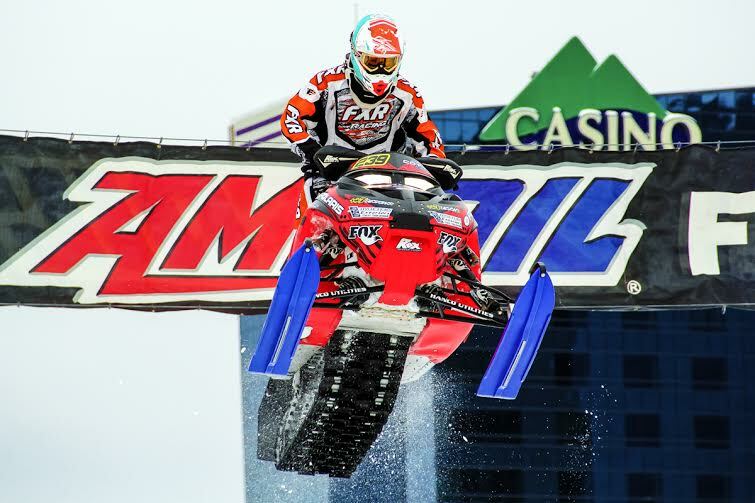 Pro Snocrosser Kurt Bauerly took home several class wins. 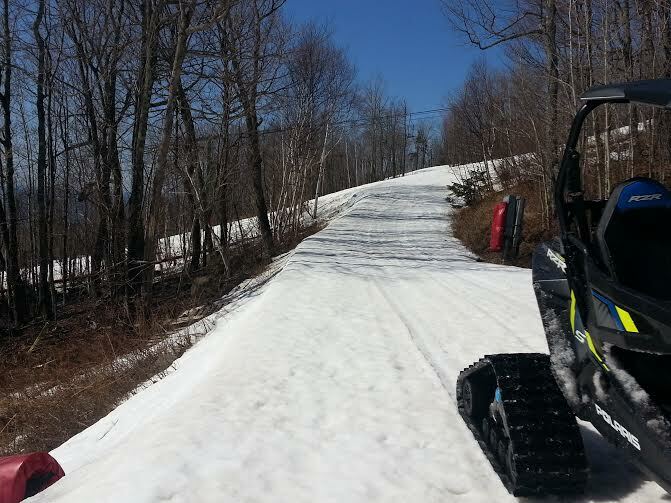 Some of the Cor PowerSports crew were onsite as early as Tuesday last week to start preparing the ski hills for two days of racing and building three different courses; the Lutsen Mountain staff worked for months in advance stock piling snow all over the Moose Mountain portion of the ski resort in anticipation for this one event. When our crew finally got on the hill we found areas that still had 12-15 inches of snow! Saturday arrived and with that was clear blue skies, temps in the 50’s, and some of the most challenging courses seen to date by racers here in the Midwest. There has never been a cross country race with so much in elevation changes, so for some racers it was almost intimidating. 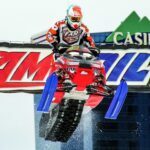 In most classes there were some close fought battles but in all of the races the big battle was between Yamaha racer Ben Lindbom and the Ski Doo piloted by Dillan Dohrn. After their 5-lap race the difference was just a shade over 1.5 seconds between them! After 6 rounds of cross country racing we made the switch over to hillclimb competition. The course that Nick Gustafson and Matthew Tingstad had laid out was one of the best hillclimb courses in the Midwest that these racers said they have ever had a chance to run. After 70 runs at the hill and just a handful of times of under one minute, the racing was done for the day. Fast qualifying of the day for hillclimbs was Ski Doo racer Kurt Bauerly, with a 54.947 seconds. Polaris racer Storm Johnson had a blazing pass at 52.915 but unfortunately missed a gate when a mogul tossed him just outside the course marker. Sunday morning we woke up to a horrible sound on our lodge roof, rain. Quickly we looked out the windows and Moose Mountain was fogged in. Storm Johnson won Pro Open and Open King of the Hill. Course officials postponed the drivers meeting for an hour to work with the Lutsen Mountain crew to access the entire situation. It quickly became clear that the hillcross course was destroyed by the rain, and with how slushy it was the groomers could not do anything with it. The fog was also so thick that the chalet at the top of the mountain was not even visible until you were 100 feet away from it. So with that, hillcross had to be canceled due to the concern for rider safety. 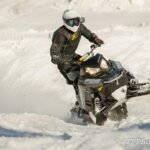 The Cor PowerSports Crew and Lutsen Mountain staff worked diligently to figure out how they could still get some racing in for the finals on hillclimbs. After the crew in charge of the hillclimb course did some work, we were able to move the finish line just below the fog line so we could still complete the hillclimb races, which turned out to include some very fast action!! The crew had tightened up the course layout Saturday and with the heavy wet snow on Sunday, the top Pro riders struggled to get times in the 50 second range even with the shortened course! 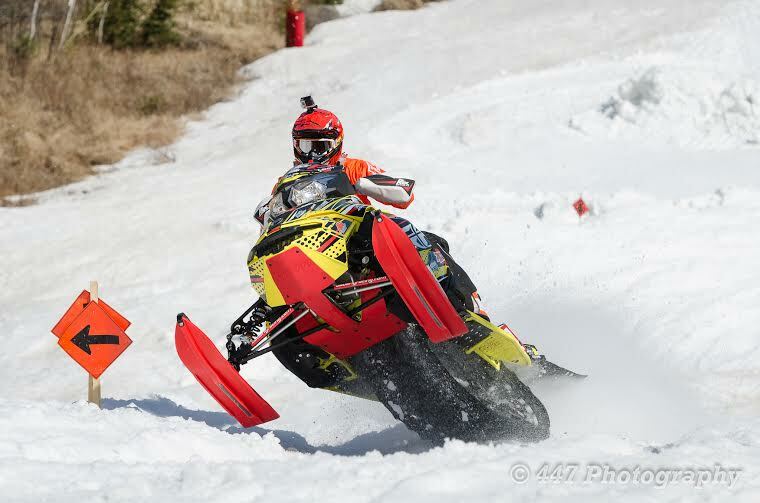 At the end of the finals Ski Doo racer Kurt Bauerly won the Stock King and Mod King championships and Polaris race Storm Johnson won the Open King championship by .7 seconds over Ski Doo racer Travis Kaurala. With the hillcross portion canceled, racers asked for us to get them something to race so we created a Hillclimb II class that anyone who had signed up for hillcross could run. It wasn’t the bar to bar action they were looking for, but still a chance to sling some snow and have some fun. Some of them put up times that would have given the hillclimb guys fits, so who knows what next year will bring! At the end of the day, even with the rain, the event went over great. Nobody got hurt, and we got to race our snowmobiles one more time before summer; that is a big win in our book! With that, our 2015 Cor PowerSports season has come to an end and we cannot thank our fans, racers, and sponsors enough for all their support! Here’s to a great summer and we will see you at Hay Day’s in September! 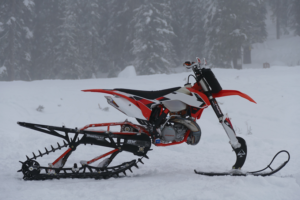 MINNEAPOLIS (April 22, 2015) — Polaris Industries Inc. (NYSE: PII) today announced the acquisition of Timbersled Products, Inc. a privately held Sandpoint, Idaho-based company that is an innovator and market leader in the burgeoning snow bike industry. The terms of the transaction were not disclosed. MEDINA, Minn. (April 17, 2015) – Polaris snowmobile hillclimbers on RMK deep snow sleds dominated the Rocky Mountain States Snowmobile Hillclimb Association (RMSHA) event at Crested Butte, Colorado, winning eight of 12 Pro classes – including all four Stock classes, where Polaris racers filled 11 of 12 available podium spots. Polaris racer Erin Beukelman won three classes at the event held April 10-12, and Luke Rainey finished in the top three in all five classes he entered before winning the Stock King of the Hill crown. Rainey won the 600 Stock, 700 Stock, and 1000 Stock classes, and took second in both 800 Stock and 800 Improved Stock. Beukelman won three classes – 800 Stock, 700 Modified, and 800 Modified – and finished second in 1000 Improved Stock. Polaris hillclimber Justin Thomas won a pair of classes, 1000 Improved Stock and 600 Modified, and also had two seconds. David Sharp, Jr. recorded three podium finishes with a second and two thirds, Les Keller finished second in two classes, and Dolan Phelps took second in 600 Stock to reach the podium. Aaron Sterck finished third in three classes, and Keith Curtis, Michael Crockett, and Brandon Titensor also had thirds. In the Pro Masters classes, Dennis Durmas won the Modified class, and Shelley Heap won three Women’s classes – Stock, 600 Stock, and Modified – and won the Queen of the Hill title. The RMSHA season finale will be held April 24-26 at Grand Targhee, Wyoming. It may be mid-April, but that doesn’t mean you can’t still catch your need for speed! 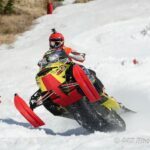 The Midwest Extreme Snowmobile Challenge is this weekend (April 18-19) at Lutsen Mountain in Lutsen, Minnesota. An event a long time in the making and unlike any other, the first running of the Challenge will feature a combination of hillclimb, hillcross and short track cross country racing. 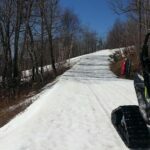 The crew at Lutsen has put in thousands of man hours making snow and preparing the hills in anticipation for this event. Timbersled will have some of their Snow Bike’s on hand at the event as demos for anyone wanting to try one of these machines out! Riders for the demos must be 18 or older. Don’t miss your chance to be part of one of the biggest and coolest spring snowmobile events in the Midwest! For more information visit corpowersports.com.